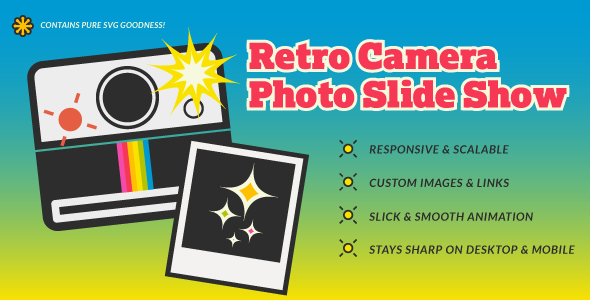 Retro SVG Camera Photo Slide Show – A retro yet contemporary way to animate and display images. With Retro SVG Camera Photo Slide Show you can specify a range of images to be displayed each time the animation plays and the instant photograph appears. And it’s all created in SVG (Scalable Vector Graphics).